The Hawaiʻi Community College alumni network is proud and strong with over 12,482 alumni living in more than 16 countries. Nearly 700 new graduates join this growing ʻohana every year. Hawaiʻi Community College embraces the concept of Kauhale that traditionally means the Hawaiian village. Kauhale is an ʻohana of administrators, faculty, staff, students, their families, alumni, and the Hawaiʻi Island community. 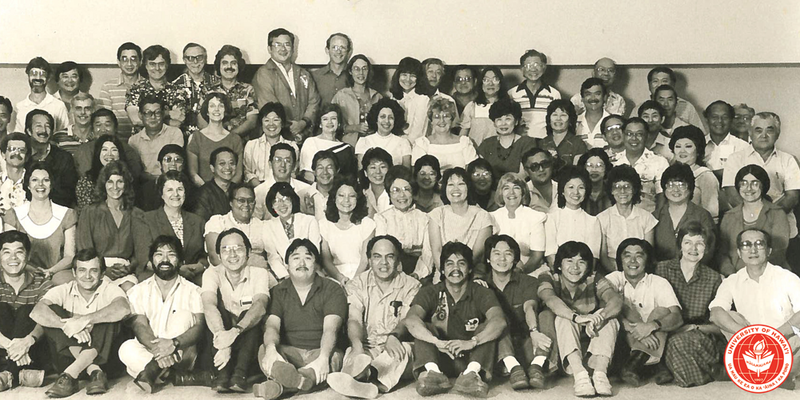 Hawaii Community College is committed to lifelong engagement with its alumni and to sharing pride for our alma mater. Whether you volunteer or attend an event, the opportunities to network with fellow alumni, reconnect with faculty or meet current students are endless. Keep up to date with Hawai’i Community College programs and events. Keep in touch and let us know how you are doing today. The 11th Annual Breakfast Fundraiser was held on Saturday, October 8. Scholarship donors and recipients came together at the annual Mahalo Breakfast. 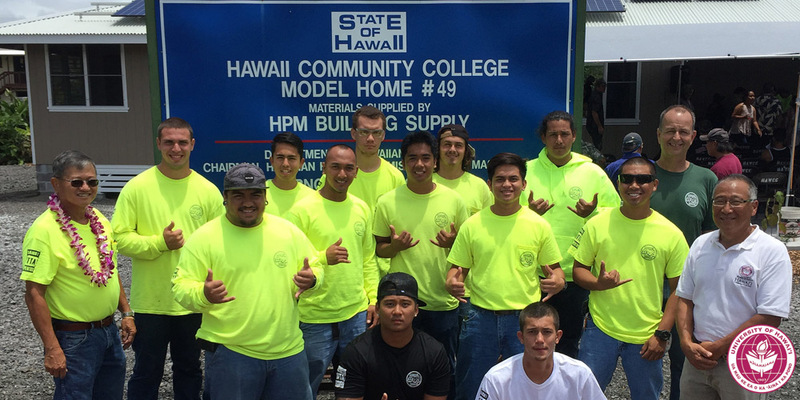 Hawai‘i Community College students donated a new home which they custom built from the ground up. 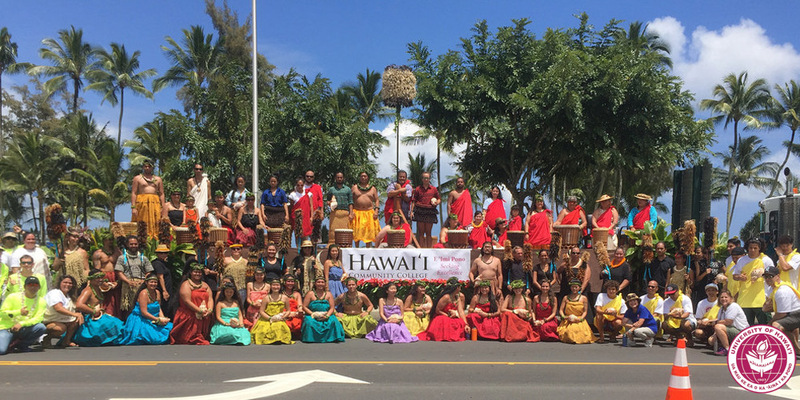 The Hawai‘i Community College was a proud participant in the 2016 Merrie Monarch Parade. 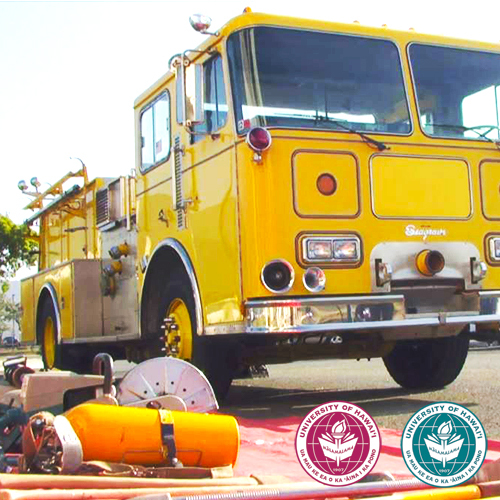 Two donations from the Honolulu Fire Department (HFD) are creating hands-on learning opportunities at Honolulu Community College and Hawaiʻi Community College. On November 7, the Hawai‘i CC Alumni and Friends Scholarship held its Fundraiser Dinner and 75th Anniversary Celebration.